← Can we mail a dart to Rome? 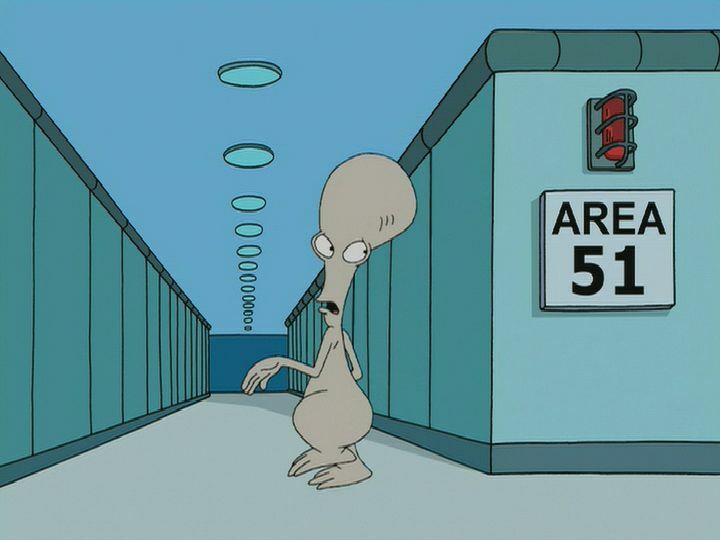 The first time I knew about ‘area 51’ was when the movie Independence Day portrayed aliens bent on the destruction of earth. These beings had visited the earth before and we met them at the secretive ‘Area 51’. They were ruthless, savage, beings who hated all things human and were bent upon the destruction of what they saw as vermin. As members of the human race we find it difficult to understand how anyone could be so certain that there is no good in us to the point that we should be destroyed without pity. But this is how these aliens viewed us earthlings. ‘He was in the world, and the world was made through him. Yet the world did not recognize him. He came to his own creation, yet his own people did not receive him.” John 1:10-11. “Who among you can find fault in me?”(John 8:46) Then why are you plotting to kill Me?” (John 7:19) Though Jesus was light, love and all that is good, pure, unpretentious, and self-sacrificing, He was alien to this world. It seems we felt toward Him similar to how those aliens felt toward earth’s inhabitants. “He came to His own.” Being betrayed by a friend’s kiss, abandoned by friends and family alike, He faced those of He came to save crying “Crucify Him! Crucify Him!”.”We don’t want this Jesus. We would rather have this murdering Barabbas among us.” (Matthew 27:21-23) Could nails or spear pierce the heart more than these words uttered by those He loved enough to die for? Examining my own fragile love, observing how easily I can judge another for less than I myself have done; I think I am one of a race of aliens so extraordinarily different by nature than one such as Christ as to be a member of another race. For me this explains how we could treat Him so badly, so very badly. At the heart of it, this Christ is so different from us. The members of our race seem capable of an endless, sordid list of ever worsening deeds of destruction, torment, greed and self gratification. Watching the news, witnessing the endless stream of brutality and sordid behavior among us, it is not hard to understand how One such as He could meet such a fate. Perhaps the real surprise is not that we killed Him but that His time among us lasted as long as it did. Wonder of wonders that He could love endlessly a worm such as me… such as you. I am so enjoying your Parables and Prayers Blog that you share with all of us! I gain a deeper understanding each time I read them, and they enrich my life, and I am able to apply them to my daily walk! I always, always loved your Inductive Bible Study that you had Joe, and I was wondering if you could recommend a specific Bible that might be of similar format, to your Inductive Bible Study. I am trying to find one, that when I read it before bed, I can understand what the message is, and what I am supposed to possible learn, and how and in what way I can apply it to my own daily life. Please , if you can recommend a good Bible that will help in what I am looking for, I would so much appreciate it! . Thanks!